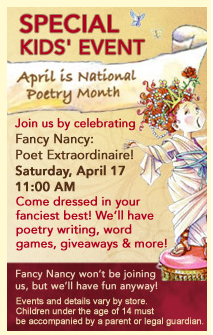 My Bargain Basket: Fancy Nancy Special Event at Border's - Sat. April 17th! Fancy Nancy Special Event at Border's - Sat. April 17th!